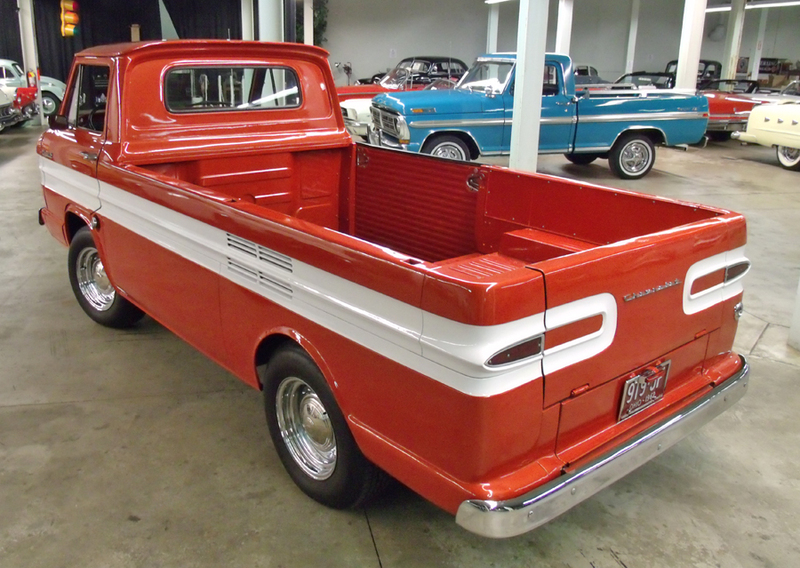 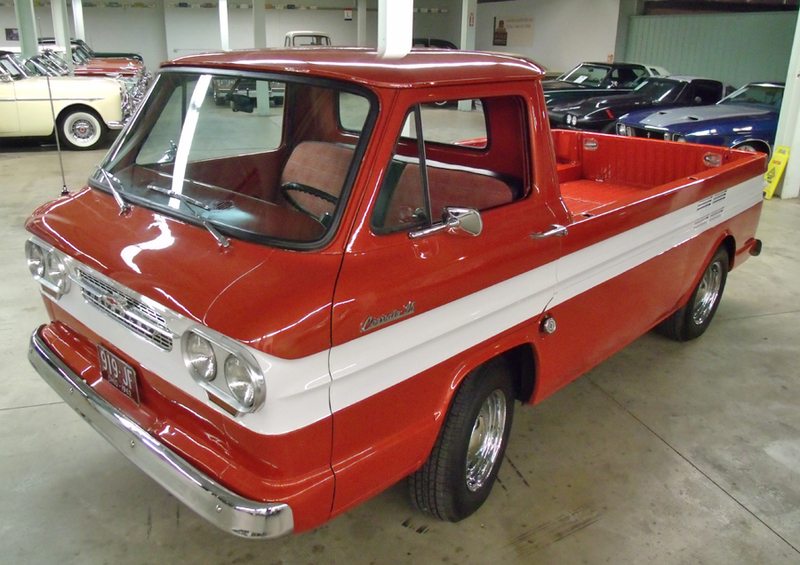 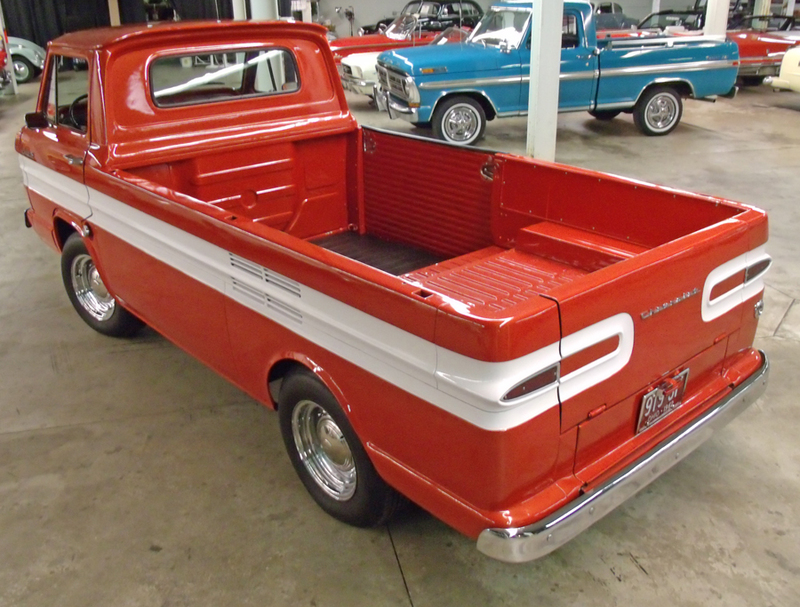 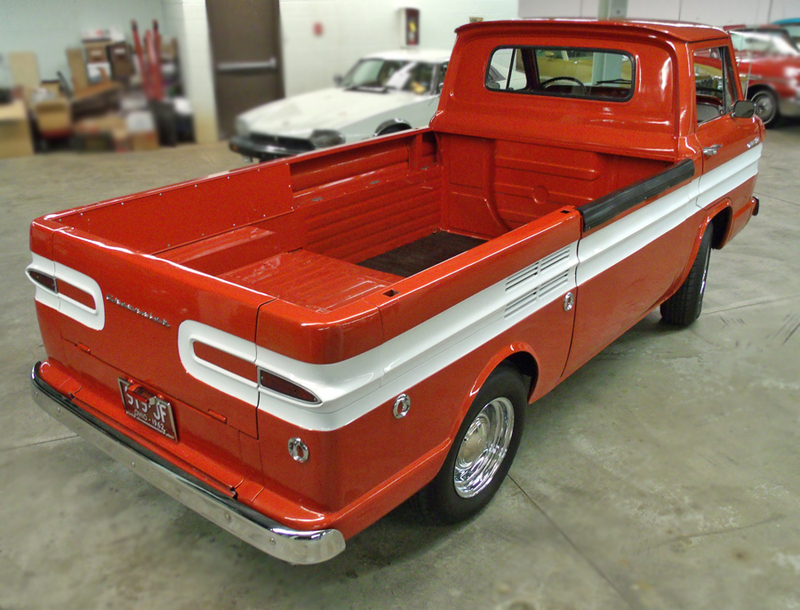 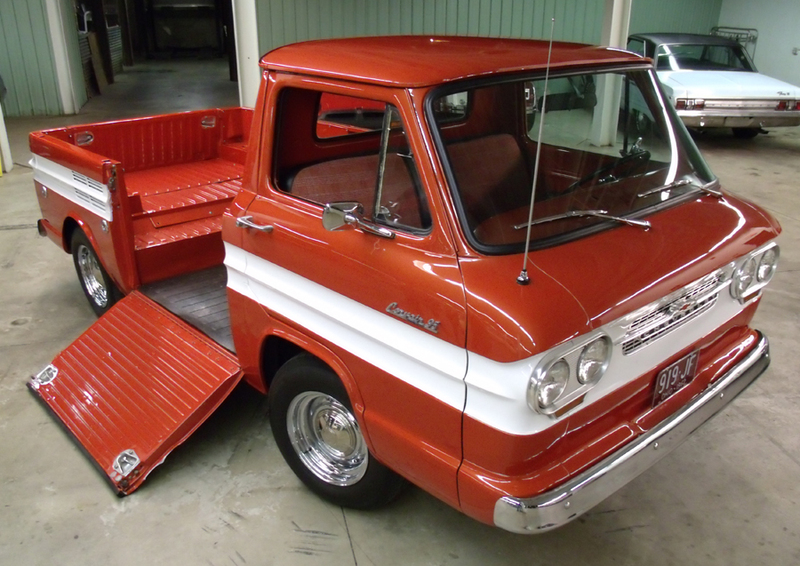 1962 Chevrolet Corvair 95 Rampside pickup. 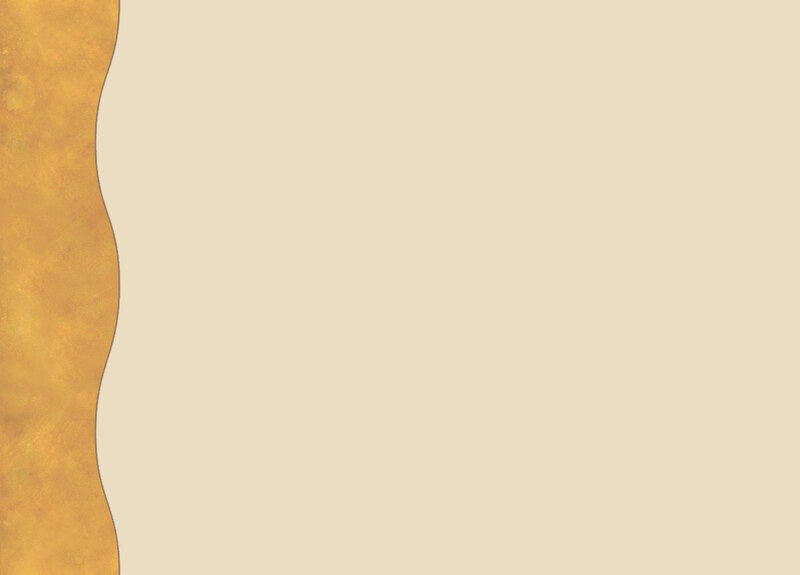 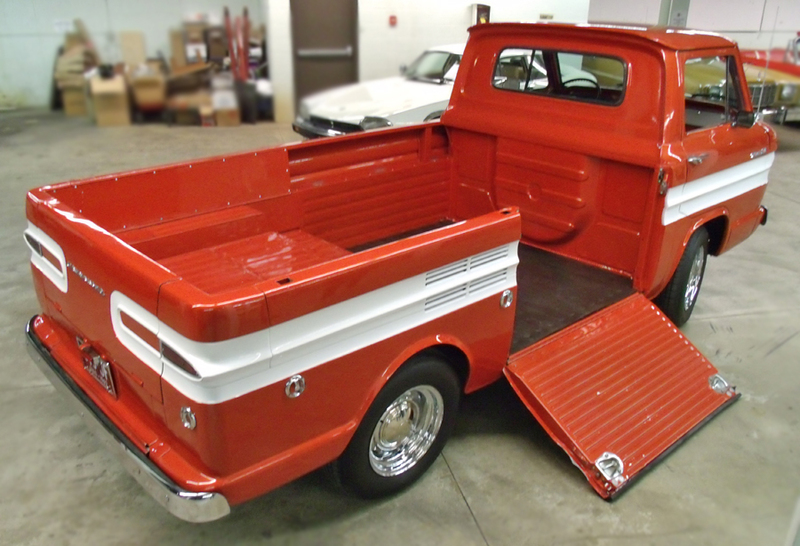 One of the most innovative designs in American pickups. 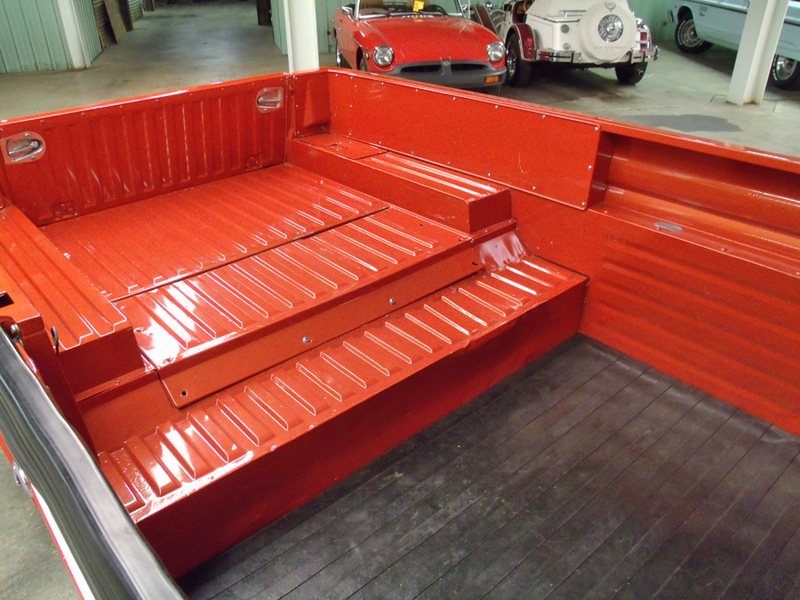 Based on the Corvan chassis with a flat air cooled 6 cylinder engine and Powerglide automatic transmission, The Rampside features a fold down side ramp for easy loading and unloading of the massive pickup box. 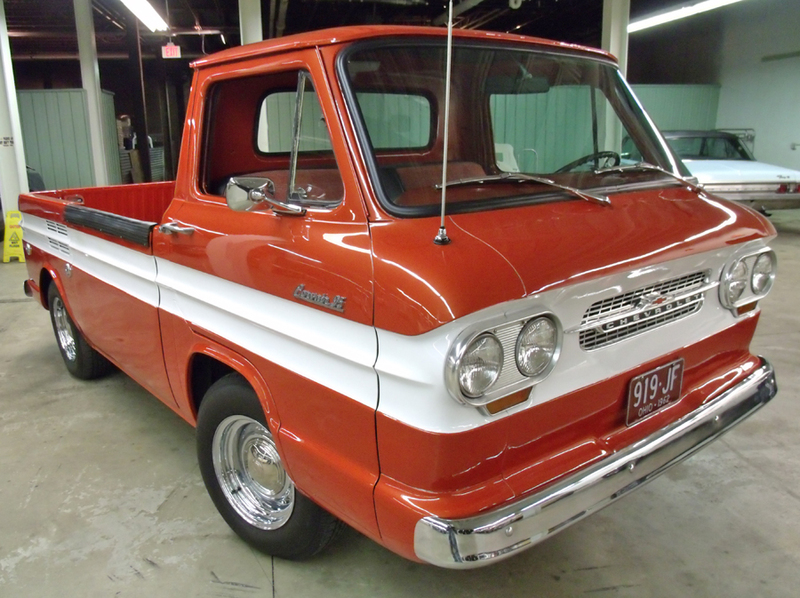 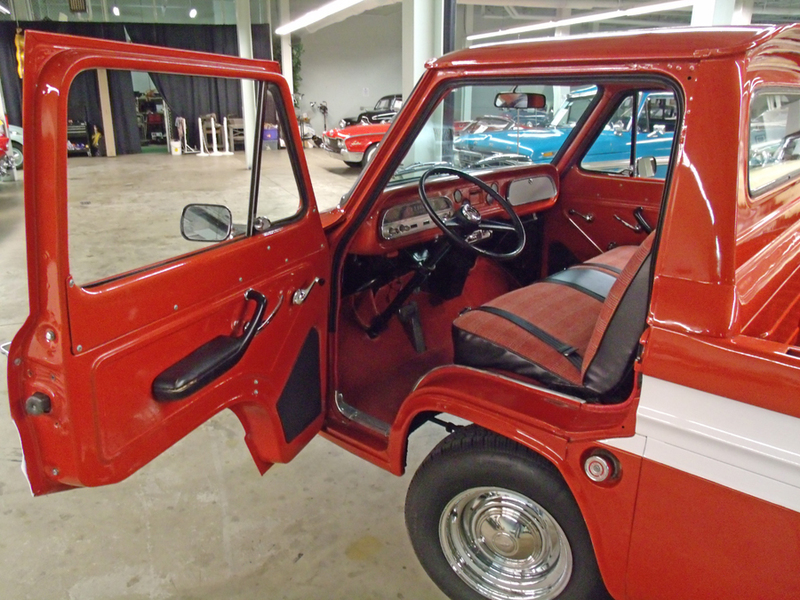 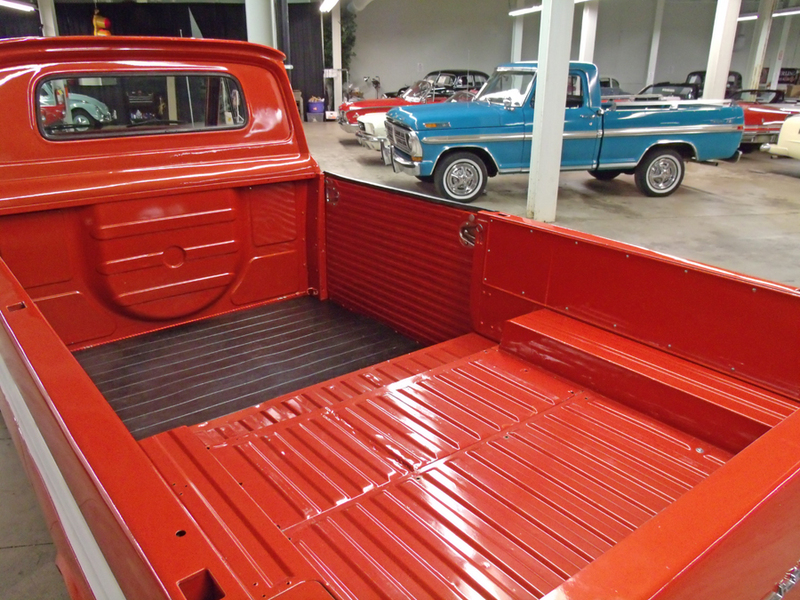 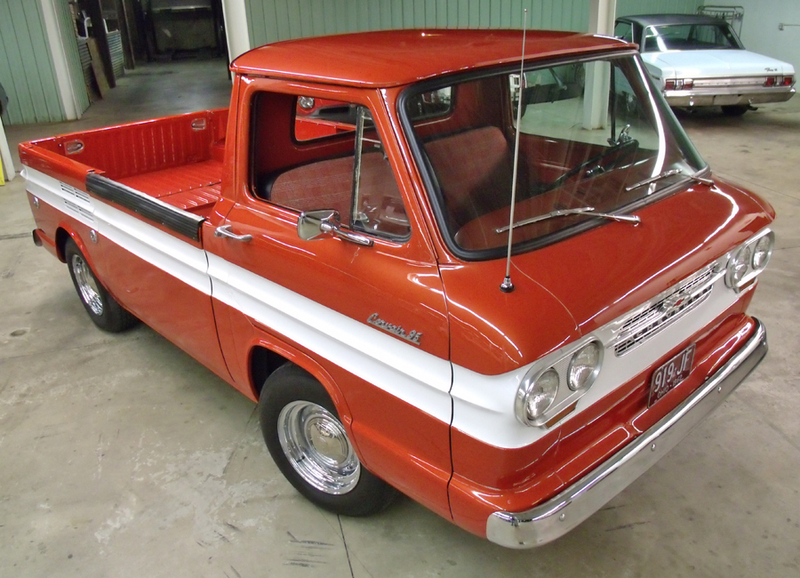 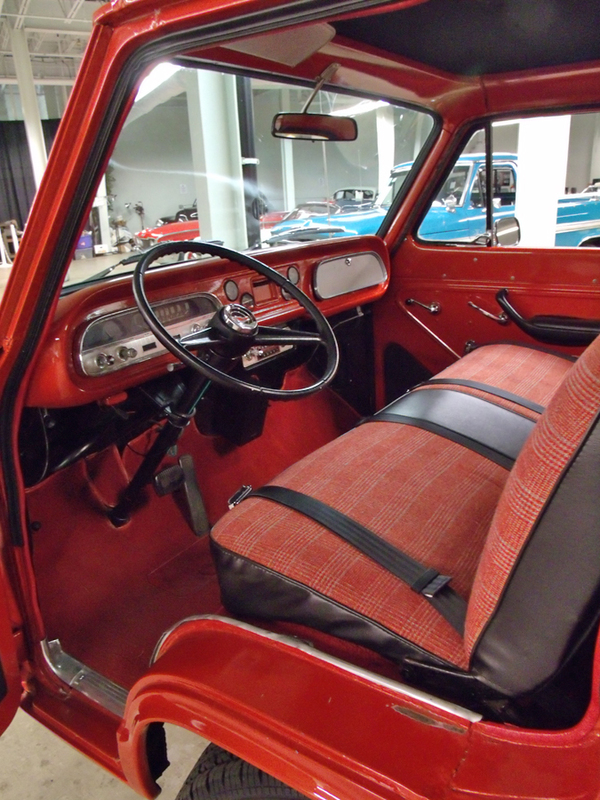 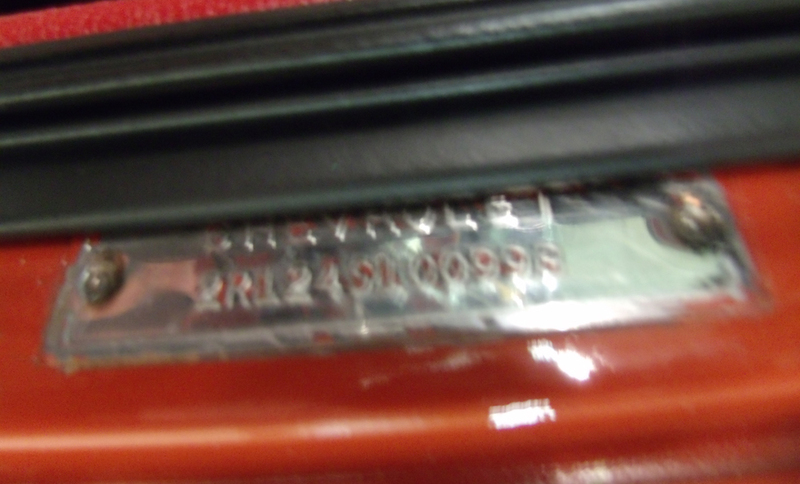 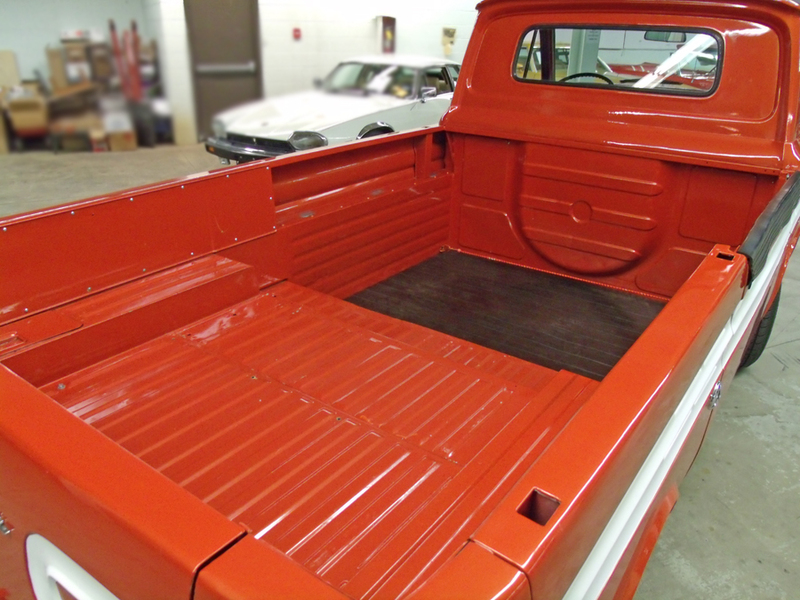 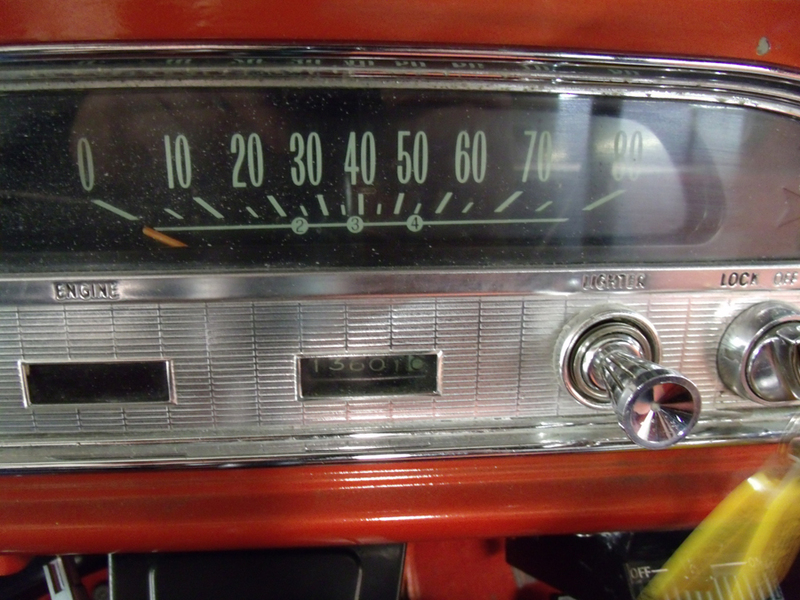 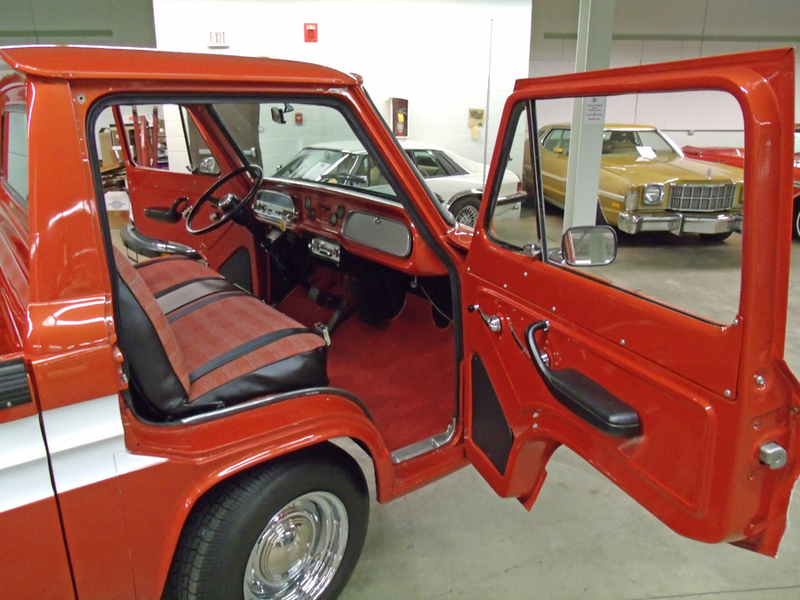 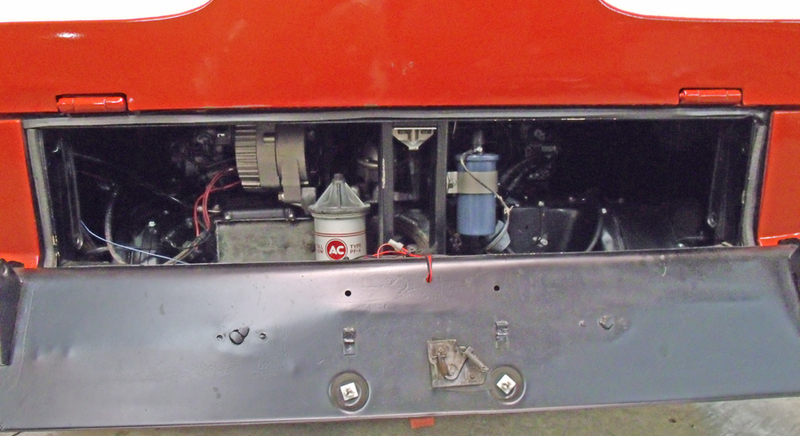 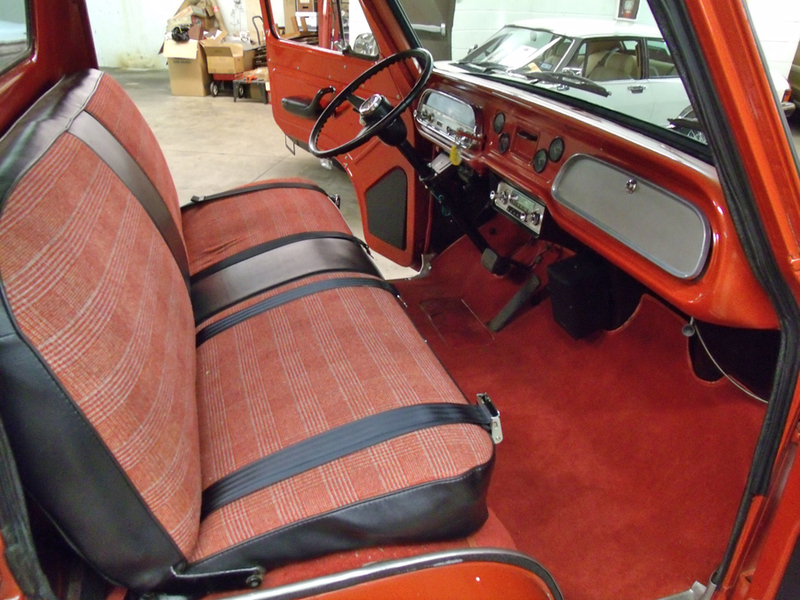 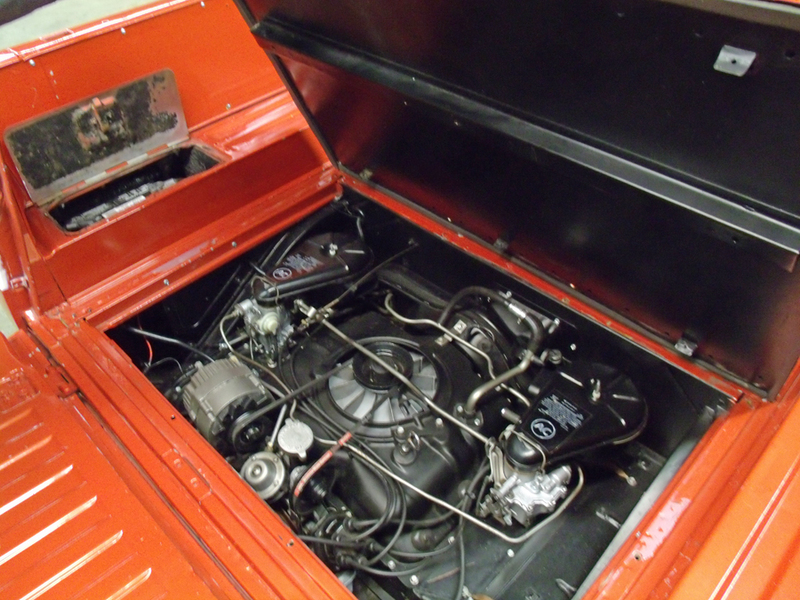 This truck has had a wonderful cosmetic restoration in red-orange paint two-toned with white, plus a red cloth interior, chrome 15" wheels with baby moon hubcaps and radial tires. 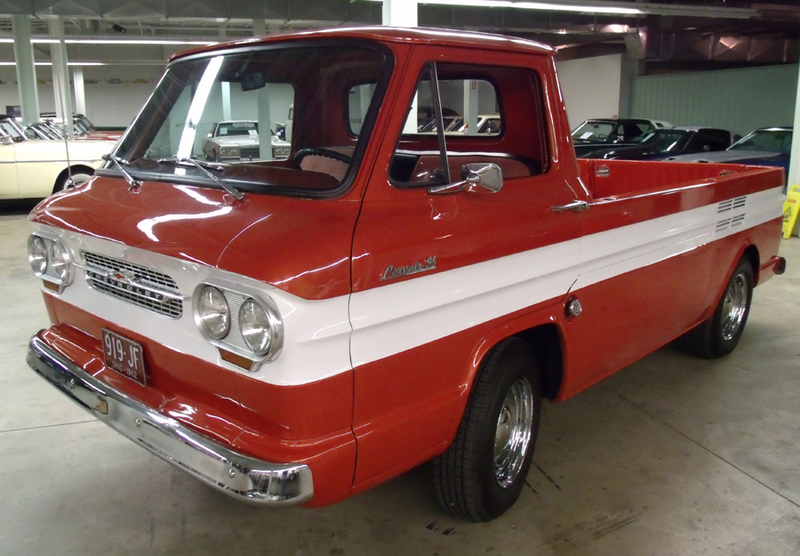 This truck runs and drives excellent and is a super crowd pleaser where ever it goes.